DECEMBER 1!? Yikes! Time to get our game on, y’all, and even though Advent officially began on Sunday, most Advent calendars begin on December 1. I was poking around online yesterday, waiting for our DirectTV to be restored (in the pouring rain!) 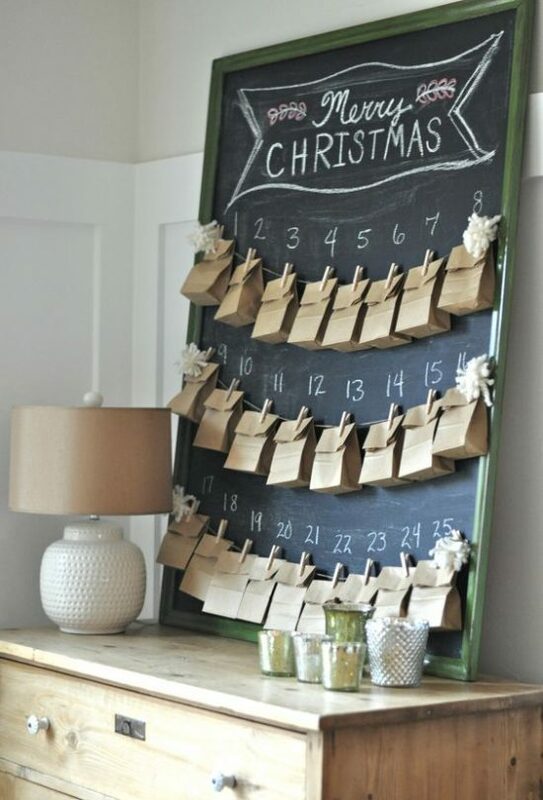 and came across a few super easy DIY Advent calendars I wanted to share with you. My peeps are all grown and out of the house, but for those of you with kiddos at home, one of these could be a sweet family activity to enjoy. 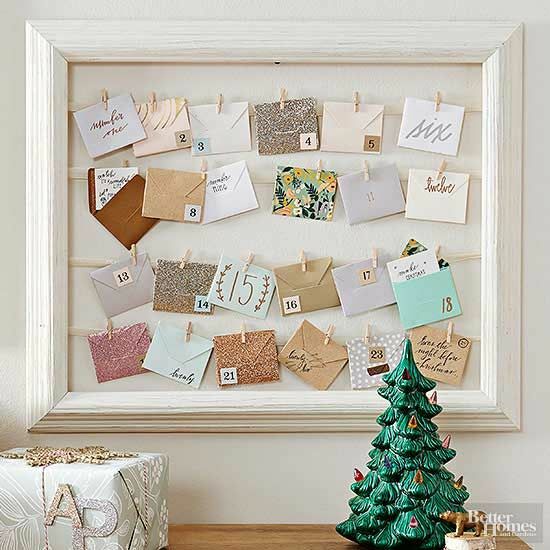 This is the first one that caught my eye — grab all those spare random envelopes, tuck in a sweet Advent message, and arrange on an empty frame and twine. You could have it ready to go by the time the kids get home from school! Don’t we all have one of these shoe organizers?? 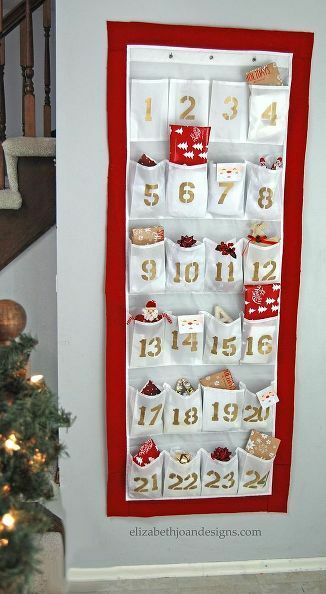 I used to use them for Barbie or Beanie Baby storage, but I LOVE this for an Advent calendar you can display on a door! Got a big chalkboard? Twine and brown bags? 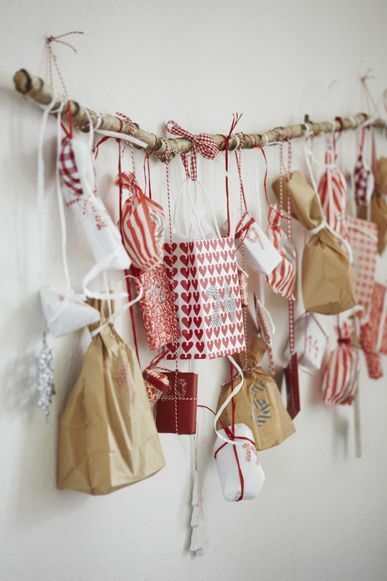 Easy peasy… this would work with envelopes as well! You know all those little gift boxes we save, thinking we’ll need/use them? Perfect to put to good use here with those pesky wrapping paper scraps. Use double sided tape to adhere… so cute! And then I found two versions of this idea, which I adore! 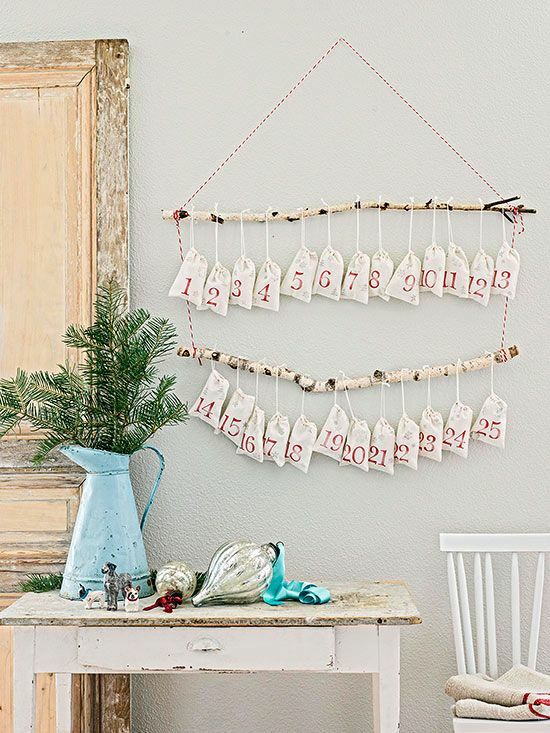 How rustic and fun to use branches from your yard to suspend those bags of Advent goodness! If I had my act together, I would have done one of these for the preschool! Such a wonderful way to be in the “waiting” space that is Advent! Working on another easy DIY for your Christmas decorating to share soon! Make it a great day! 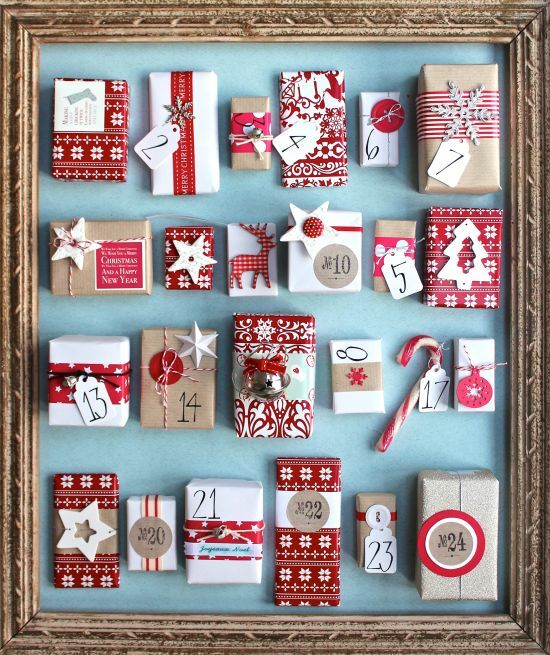 Great collection of Advent Calendars…love them all … I especially love the board of packages!! Absolutely beautiful calendars! What a great idea.